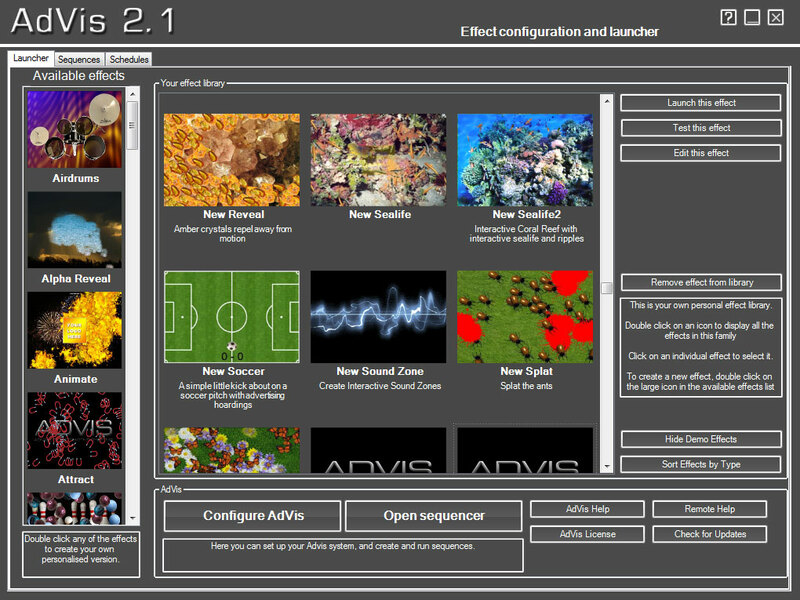 Our most recent interactive software version is AdVis 2.1. which is significantly faster and more accurate. It boasts many new features, faster set-up times and is capable of creating advanced interactive installations of any size and shape on virtually any surface. Every part of AdVis has been optimised to produce realtime interactivity at high resolutions. 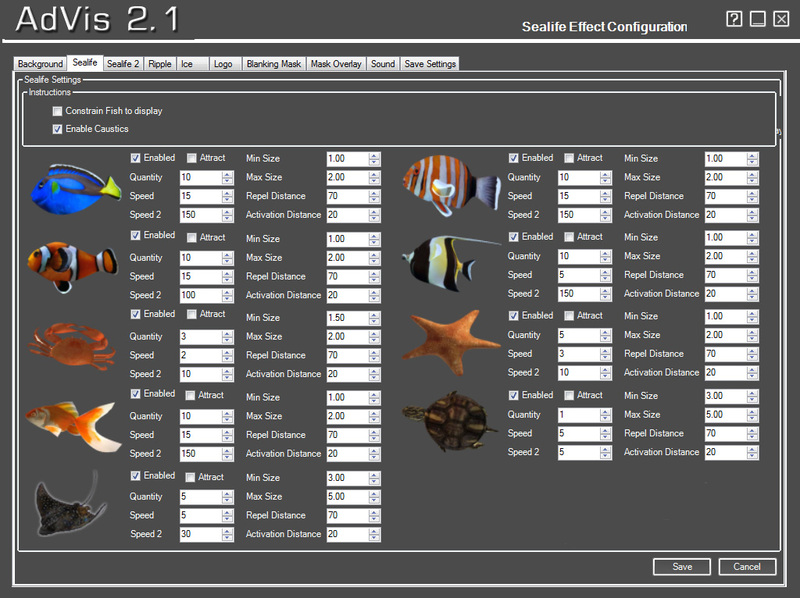 Every effect comes with it’s own configuration so you can completely customise an effect to suit your needs. AdVis has been designed from the ground up to be user friendly so that even the most novice of PC users can operate it. AdVis supports full HD 1080P resolutions and higher enabling you to create crisp interactive installations. To significantly increase performance, accuracy and stability, we’ve rebuilt our motion detection engine from scratch. We were among the innovators in the market with interactive projection and AdVis 1.0 and, having built enormous experience from our previous software versions, we’ve now developed a flawless motion detection engine suitable for all environments. The AdVis 2.1 effect launcher has been completely redesigned with an easy to use interface that even those with only basic computer skills can manage. 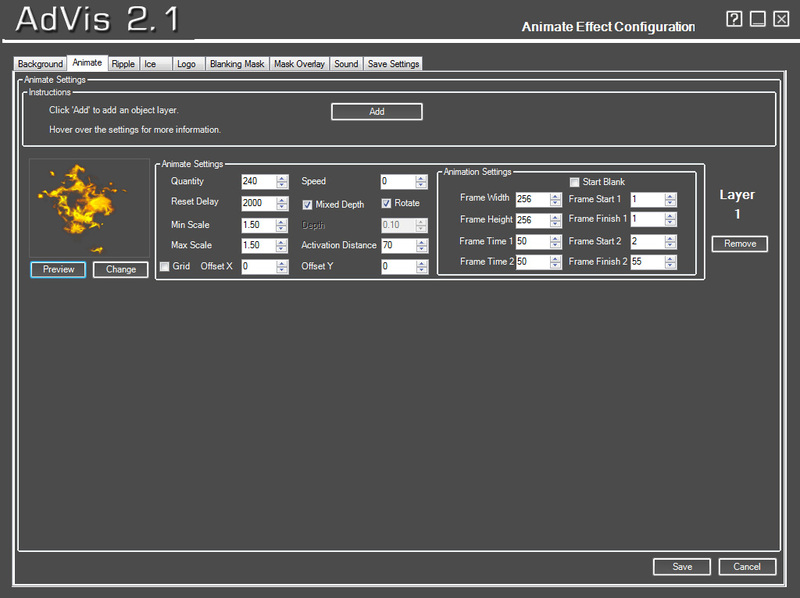 From here you can access the AdVis 2.1 configuration, launch effects immediately or test the effects using your mouse. You can build new effects with your own content, or edit existing effects and can also build sequences for different effects to run for varying durations. We have an extensive range of effects with many significantly different interactions and themes. With more than one hundred effects, there’s something to suit all occasions and if you still can’t find something to suit, then each effect can be completely customised to include your own content. 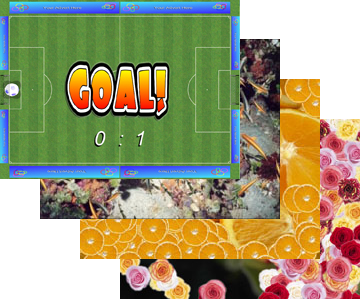 You can replace background images and videos, logos and sounds and configure the effect to react how you want. Every part of the system is configurable. It’s possible to use multiple projectors and tracking kits to create much large displays with Advis 2.1. It’s possible to use up to four tracking cameras and four projectors from one PC to create extra long or larger interactive set-ups. The display can be horizontally or vertically spanned, or set-up 2×2 for enormous displays. We can increase to an unlimited number of projectors and tracking cameras for bespoke projects. One exciting new feature with AdVis 2.1 is edge blending and edge overlap. There are many available solutions to create seamless displays via overlapping projector images and blending the edges but these features only appear on the most expensive projectors or else can be created via extremely expensive hardware solutions. Existing software solutions are also expensive and can cause a delay which is of little use for interactive projection. Luminvision has therefore now incorporated Edge Blending as standard for all of our effects and clients can now edge blend up to four projectors to create seamless displays. What’s more, there’s no processing overhead in doing so, which means the displays still run in real time. 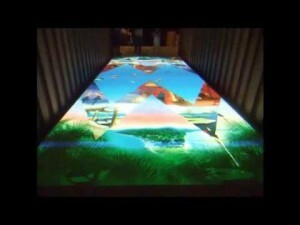 And for custom installations, we can even edge blend an unlimited amount of projectors. AdVis 2.1 has a built-in networking function. Systems can be set as either a master or a slave so, when the user has a large network of AdVis systems, they can set one as the master and the rest as slave. Regardless of how the user sets up the master system, the slave systems will periodically log in and check for any updates, download any new content and start playing the new sequence. This is done in the background so the systems still function as normal and the audience won’t see this happening but are able to play with the new content immediately. A version of AdVis also exists which can be set as master and run at a separate location in order to create new effects, change content and sequences remotely from anywhere in the world. This version is free to users of AdVis so even with just one system, you can use this version to remotely update a live system. Built into the AdVis 2.1 Full Pack Launcher is an SDK Player. With this player users can create their own effect in their desired programming language. Having the player built into the Launcher means it can run custom effects the user has made on any machine with the AdVis 2.1 Full Pack with no need to purchase another SDK.